The summer after I graduated from college, days before I moved to New York to start a real adult life, I saw a ghost. Or maybe it was an angel, or a rare subset, a guardian ghost. Decades later, I’m still not sure. I am sure that it was not a dream or hallucination. After all these years, I can see her and hear her as if she appeared last night. I am aware that many of the details sound like classic ghost story tropes: It happened in the spooky old house my family moved to when I was 14 years old, after my mother decided that our first house, a cozy brick ranch house designed by a uncle and largely built by my father, was no longer big enough. The house was a steal because the previous owners were highly motivated to sell. The front room upstairs, the former master bedroom, became my room. It had three huge windows that overlooked the street, so it should have been cheerful but it was the gloomiest room of all. As in many old houses, it had no closets, just a big cherry wardrobe, and it was dominated by n wooden bedstead with an elaborately carved headboard that touched the ceiling and a footboard about five feet high. Brackets had been added in the frame to fit a modern mattress, but no one very tall could sleep in it. It was the family joke that the master bedroom was mine because I was the only one who fit the bed. The antique dealer who eventually bought the piece called it the “Shakespeare bed” because the grain of the wood in headboard was split in such a way that it looked a little like a shadow outline of William Shakespeare, with his pointed beard and ruffled collar. It also had big carved urns on top of the bedpost finials, and was in every way the perfect bed for a teenage girl with a moody and dramatic cast of mind. To heighten the gothic effect of the room, I covered my walls with black light posters of Jim Morrison and psychedelic images and prevailed on my father to bolt a three foot black light to the ceiling that illuminated everything in stark purple way. Like many adolescents, I sensed that I secretly might be capable of a deeper, greater life and felt that this—and many of my finer feelings and observations—were best kept hidden under a protective layer of darkness. By the time I graduated from college, most traces of my dark hippie or proto-“goth” style were gone. Still, the sense of being cut off from real life—big life–persisted. Soon after graduation, I took a trip out West in a VW van with my boyfriend of the time. It was an archetypal American road trip, no real plan or route, just a powerful impulse to be in wide open spaces—to have a spacious view. Like many recent graduates, I feared than I might miss this big potential life, that I might wander forever in the samsara of my crummy little life. I felt I had to do something or find something or someone. I just didn’t know what or who. I had vague plan to drive to Boulder, Colorado, to meet the great Buddhist teacher Trungpa. But once I made there, we sat drinking coffee in a place called the New York Bagel Cafe, full with the desolate feeling that I was going the wrong way. Influenced by many voices, including my parents but especially a college friend (who turned out not to be a friend, but that’s another story) who worked at the New York Times, I decided that studying Buddhism in the Rockies would be dropping out of life. The adult thing would be to do something hard. I decided to move to New York and find a job in journalism or publishing. Back home, I was full of misgivings, certain only that I was uncertain. The ancient Celts spoke of the “thin places”—times and states when the boundaries between worlds, between day and night, sleep and waking, what is seen and unseen, is more porous. Maybe I was in a thin place. Certainly I was closer to recognizing the basic insecurity of life. Days before I was to move to New York to begin what I hoped would be my real adult life, I woke in the night with a start to see the ghostly apparition of a young woman standing at the foot of my bed. Although she and her dress were white, I could see every detail. She had long wavy hair and was dressed in a lacy Victorian dress. She looked like she was in her late teens and I had the impression that in life she had been very fair. I remember gasping for breath as if I was running for my life. My heart raced and my lungs burned, yet I was paralyzed with fright. Years later, I wrote a story for a magazine about ghosts and I learned that being paralyzed is a standard “symptom” in true ghost stories. And so is this: I didn’t see her feet. Even without being blocked by a five-foot headboard, ghosts never show their feet. She told me her name was Elizabeth, and added that she didn’t live in this house but nearby. She indicated that she could be reached if needed— and I had the impression that she meant she lived in the house next door. This proved wrong, but I don’t want to get ahead of myself. It was as if I woke up from a dream into a nightmare. I was being told—by someone who was clearly not alive—that a person could lose this precious human life by not wanting it enough, by being inattentive or uncaring. I was being told a person could just disappear, and their body could be taken over by another force, another who-knows-what. And I found out how much will and determination I had to live. “I don’t think you’re crazy,” she said in a solemn voice. She told me that she had been awakened by a feeling of tremendous cold one night. She saw a column of white mist in the doorway and approached it. “I felt so cold and sad as I walked towards it,” she said. This fog grew colder and denser as she neared it, then it disappeared. I was the only one who saw—and received a warning from—an apparition. But as the haunted house evidence accumulated, I began to sense that the apparition I had see was something else. After my parents sold the house (for a song), they told me more stories of sadness and losses that befell the people who moved in after us. But I began to feel that Elizabeth had come to help. A decade later, I was a struggling freelance writer, living in New York. New York Magazine gave me an assignment to cover a séance in a chic neighborhood on the Upper West Side. I was to write a tongue-in-cheek piece about well-off people seeking guidance from a man who went into a trance state and purportedly channeled a great wise being. I was convinced the man was a fraud and I asked all kinds of silly questions to try to prove it. I never published that story. It took me years to find the courage to tell this story, and decades—now—before I wrote it down. But over the years, it has come to seem a powerful teaching, even a kind one. Over the years I have come to see there is trustworthy guidance in this world. The Noble Eightfold Path and the Beatitudes and other ideas come down to us from a higher level of awareness. They are thrown down like guide ropes, given to us like the gift of fire, so we won’t be doomed to wander aimlessly through life the way I tried to cross the country, guided only by our own changeable and self-centered desires. But I also know we can be lost…and there may be help. I thought that I had left a comment earlier this morning. It is Monday, perhaps I never hit the post comment button. It reminded me another story to tell, which I will not tell here and now. You are right of course, there is trustworthy guidance in this world. Thank you for sharing, be being brave. Thanks, Ron…and thanks for sharing the story. Your missive didn’t remind me of an experience with a “ghost” so much (although I have had some such experience), as much as what it is like to be a child who’s experiences or feelings are marginalized in this culture. In the mid-1960’s, my rather-old-to-be-parents decided that their growing family needed more than an apartment. To that end, my father found a Craftsman-style house in a run down neighborhood dominated by the giant Gates Rubber Company, the old Samsonite Luggage factory and a maze of Victorian railroad tracks. And what a house it was! All of the woodwork was polished black walnut, and the walls were painted a dark tan – a problem my Dad never did get around to rectifying in the three years we lived there. The kitchen and bathroom were still equipped with their original fixtures from the previous century, – and there was NO electric lighting, except what we brought to plug in. This had to be the most oppressive house in all of Denver. Throw in the fact that the neighborhood itself had no children – only ancient railroad retirees that made my parents seem young, and you can imagine the potential impact on a child. It was in this house that I saw the Vietnam War unfold, Walter Cronkite’s nightly reporting of the daily dead, the Civil Right’s conflict and Bobby Kennedy’s assassination. I also watched my mother have her second nervous breakdown, where, out of guilt, she tried to sell my sister on the street to anyone who could better care for her (she had a skeletal malformation that she blamed herself for). Throughout all of this, no one seemed to take any of my feelings or observations seriously. I have come to believe that for community to function properly, certain groups of individuals, like children, should not experience the being alone half of the equasion simply because it is not in our immediate interest to do so. I wish I had had your experience – what I would have done for anyone – even a benevolent ghost, to show me some attention as an authentic person. Thank you for sharing this, Lewis. It made me feel very sad, yet very aware of the crucial role of community, and of being seen. Thank you for sharing this story of amazing grace. I, too, had goose bumps reading it…and then to see her name is the same as mine!LOL! I agree with you about the crucial role of community, and of being seen. I am so glad that you are still “here”!!! Thanks Elizabeth, I am very much still here! I had an eccentric aunt who loved to have seances in her parlor. I must have been very young because I only remember my fervent wish that no spirit should ever listen to her. In reading this beautiful reflection, I am still grateful that the dead have not visited me. I don’t think my already nervous disposition could take it! But you have given us so much more than a poignant ghost tale, you have given us a rope too. You have shown us that there are higher principles to live by; principles to lift ourselves up by. I thank you for such a beautiful recollection but I also thank you for this skillful lesson. Thank you, Tracy, for your gifts as a writer but also as a spiritual teacher and most importantly, thank you for sharing your journey. It is a guidepost for all of us on the trail of life. Thanks, to another and much-appreciated Elizabeth! Tracy, You have a fabulous mom; she didn’t think you were crazy and I love that she approached the mist. How great that both your parents did not mock your story, and had their own experiences to share with you. Elizabeth carried a message as a gift to you and all who are reading your words. I hope you contact the man who mentioned Elizabeth was all around you, so that he gets the confirmation he had dialed in his energy correctly and fulfilled his spiritual task to you. Thanks for sharing this story – And, I understand why you were reluctant to share it for so many years. It’s too bad that so many of us are so skeptical – we’re missing out on so much! I wonder if Elizabeth has followed you, or if she is still in Watertown, and visiting the current inhabitants. Thanks, Connie. You’re right. 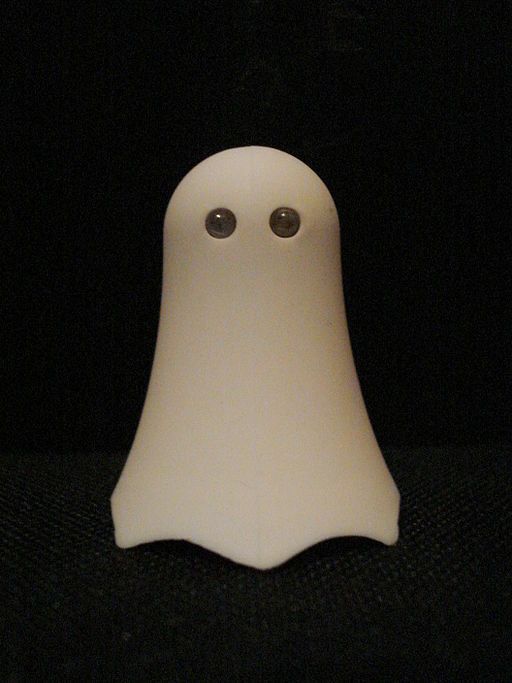 Admitting you have seen a ghost does put you smack in the realm of, well, those who have seen ghosts–i.e. those who might have overactive imagiations. p.s. given what the channel in Manhattan said, Elizabeth does travel with me…at least some of the time. I loved your story Tracy—and keep hoping to meet one myself. Thanks, shahed. Be careful what you wish for, you just might! What a wonderful story! Just a quick comment on “thin places.” They are not simply “times and states” but physical locations where the veil between this world and the next is incredibly thin. It would seem your old house was a thin place. I tend to think of places like Iona, Jerusalem where sacred things are always present in physical AND metaphysical ways. I think your story is worthy of a fuller expansion and broader distribution. I would love to see a fuller explication of Elizabeth’s comment that others would like your body. You made clear that there was a sense of ominousness in the house – did it feel evil? Did Elizabeth’s presence feel evil or more scary? Do you think she was prodding you to be all that you have been called to be? Another comment on thin places. Have you ever seen Salvador Dali’s “Hypercube Crucifixion.” A hypercube is a geometric shape that exists in n-dimensions, that is, a cross that cuts across space and time and other dimensions beyond. To a Christian, the Cross exists through all time and space and beyond. It is the “thin place” where grace and suffering meet eternally and everywhere, no matter the dimension. Hi Scott, I’ve been away from this for a few days. Thank you for this thought provoking comment. I do intend to explore the story in more depth, and I think I will share more in this space. I did not have the sense that Elizabeth was evil. It was terrifying to behold her but everything about her was light. I’m tempted to say kindly, although the message she delivered was very grave. And she told me she didn’t live there but nearby…which could mean nearby me. Sorry, but one more things popped into my head – Thank you for your courage! I like what you have posted, Scott, and agree. Also the nsme Elizabeth means ” consecrated to God” and another one is ” House of God , ….Bethel”. I don’t presume to say that all Elizabeths are saintly, but just interesting that that was the ghost’s name. I too, would like to hear more about this experience, Tracy. Thank you, Elizabeth. I will tell you more. hmmmm…Elizabeth…everything about her was light. A guardian angel perhaps? Perhaps, esp. since that man in New York sensed her all around me. Tracy, I feel a little weird telling you this story, mostly because it is not really my story. BUT, the echoes of Elizabeth’s comment to you that others want your body resonate with it very strongly. One day at seminary, I was walking next to my friend. He is a very tall, very wide African-American with a huge smile and a glorious capacity for soulful singing. As we walked, something strange happened. Out of the corner of my eye (some of my most profound experiences have been perceived through my peripheral vision), I could see that my friend had greyed out and standing within his form was the darkened profile of a very small man. This little man in retrospect had the aspect of Mahatma Gandhi. I had no sense of emotional reaction other than this was very strange. I said nothing to my friend but held this vision within for many, many months. He had been at a wedding in Hollywood, CA, filled with all kinds of famous people. At one point, he felt moved by the Spirit to get up out of his chair and move to the altar. As he moved to the altar, he had a vision of what he called a straw materializing which connected his head to heaven (or straight up into the beyond.) Suddenly a person slid down the “straw” right into him. Suddenly, he came to and he was lying face down in the aisle. To those around him, he had been “slain in the Spirit.” Some people helped him to get up and returned him to his seat. At the end of the service, most of the people, with averted eyes, avoided him. The second story took place later. He was at a church service and responded to an “altar call,” that is, he went up to the altar rail so a pastor could pray over him. The pastor approached my friend but, as he told him later, a little man was in front of him, blocking his vision of my friend. It was clear by my friend’s description that this obstructive man was not made of normal flesh and blood. I said to my friend, “It is almost as if you are dis-integrated into two people. He laughed and said, “Yea, my therapist says I am like a shattered vase, we have to put the pieces back together before we know what the vase looks like.” My friend was a big loving Teddy Bear of a man but there was a quality of confusion, abstractedness, and lack of direction that pointed to great inner conflicts within. Who was this little man – an angel, Christ, a demon, or a hallucination. I have no sense of emotional or the moral “stuff” of him. Was he evil, good – I have no idea. But clearly, I saw something that resonated with other experiences in my friend’s life. Back to Elizabeth, I think it is very important that she was “of light.” I also think it is very important that she was an external presence. I think these are very good things. As for my friend, I pray that he has the same protection as you. You may have already encountered the author, Stewart Edward White in your research about ghosts and the spiritualist era, i.e. seances, but if not please do. He wrote several books regarding the ‘other side’, but the most influential was The Unobstructed Universe. It was written in the 1920s, and published in the 30s so it can be difficult to find and little pricy on Amazon. It was happenstance when I came across it a few years ago on a free cart at a local library in Los Angeles. If you do find it and read it I would love to read your thoughts in a future blog post. Thanks, Brandi. I’ll check him out.